"Welcome to my bathroom!" the cheerful voice chirps from the overhead speaker. Where are you? What are you doing here? How did you even get here? 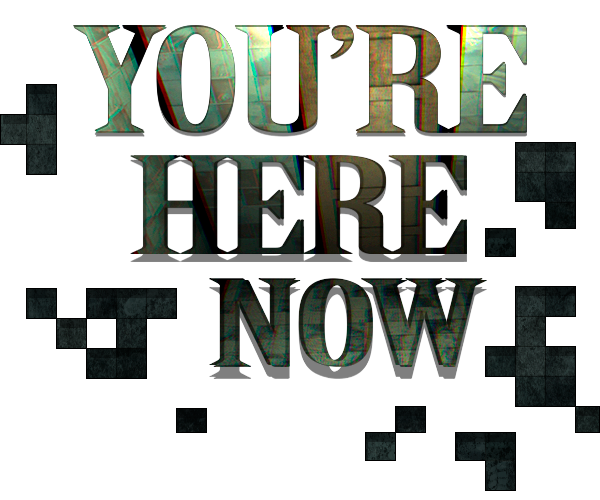 You're Here Now is a maze solving game, in essence . Navigate a procedural maze to find the secret code and the exit. You will need to be careful and choose your route wisely though—you are not alone. 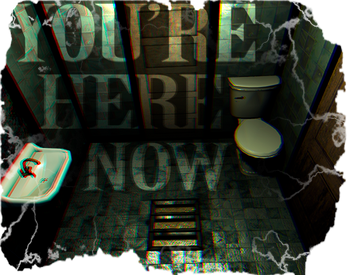 You're Here Now is also a game of exploration. Scattered throughout the rooms are clues to the larger story behind the maze and its architect. The answers to some of these questions wait to be discovered, by you? Yes. This game is intended to be the first in a trilogy. Regardless of whether or not it's a good idea, parts two and three will arrive imminently. Requirements: It shouldn't be too stressful for your hardware. Among other things. The place certainly doesn't look well kept, does it? Thanks for playing! I was looking at the game's tags when I was finishing up the video, and I was wondering why you tagged a game about the world's largest (and dirtiest) bathroom with Milwaukee. I mean, I figured it out, but that was a weird five minutes. Most of my games secretly take place in Milwaukee. Although the next one looks like it won't. Won't take place in Milkwaukee, or won't secretly take place in Milwaukee? Ha! Won't take place in Milwaukee. 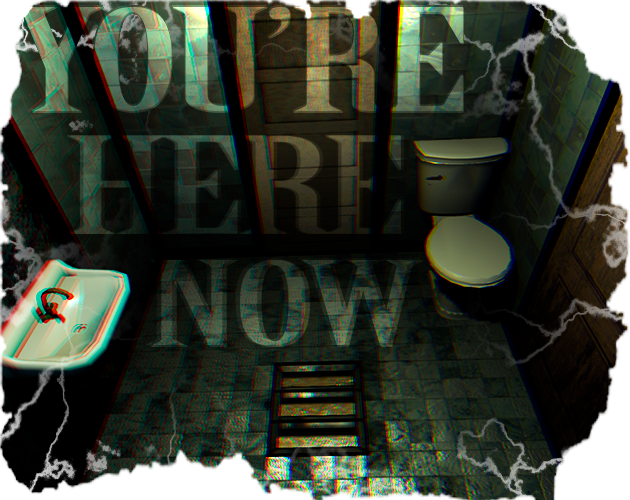 It's a stealth horror game I've wanted to make for a long time. Just need to start getting up earlier again. Sweet. I'll keep an eye out. Ha! You're not the only one who made it out alive. My random algorithm is surprising me and watching it play out in the experiences of players is fascinating. I may decide to release a patch, but for now I'm having a good time watching people's reactions. Thanks for playing! I gotta be honest, I went in with low expectations due to it being a maze game, but the charm and overall weirdness was awesome, and I'm glad I went back to get myself killed. I was kinda expecting the monster to be patrolling around. Well made, funny and a good challenge. Thanks for releasing this. Woot! Thanks for giving it a chance and thanks for the video! I'm glad you liked it :) Consider leaving a review! If you liked what you see consider sticking around and clicking the link below! Thanks for playing and for making a video! Glad you liked the game! If you feel like helping me out, consider rating it! I like the game, but is there any way to tell where August might be before you meet him? I was inspired by the old game "Hunt the Wumpus" which I used to play on my old TI as a little kid. August can move randomly among a set number of rooms along the route to the exit. Whether or not he finds you is somewhat random, and there is no way of knowing ahead of time. Thank you for telling me this. One more question, if you could- does he move between rooms on his own pace, or just whenever you enter another room? Thanks for letting me know! It looks like it's fixed now! Pretty cool. Gets a little repetitive at times but the tense situation of not knowing what when you'll run into the monster or what it will do keeps the suspense up pretty good. Thanks for playing and for the video! If you enjoyed it, a good rating would help a lot! Thank you for playing and for the video! Danke, Freund aus Deutschland :) if you had fun, please rate the game! Thanks for playing and for the video! Little hints as to The Plumber's back story are scattered throughout the maze, and more will be revealed in the 2 upcoming sequels. If you liked the game, please consider rating it. Thanks for the gameplay vid! Your comment posed twice for some reason so I ditched the second one.